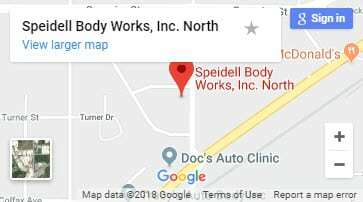 Who's Serving You at Speidell Body Works? 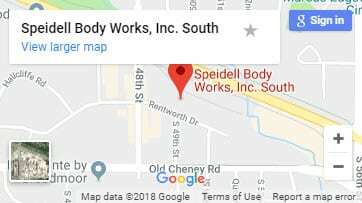 Todd, the Owner/Operator of Speidell Body Works, opened for business in May of 1990. 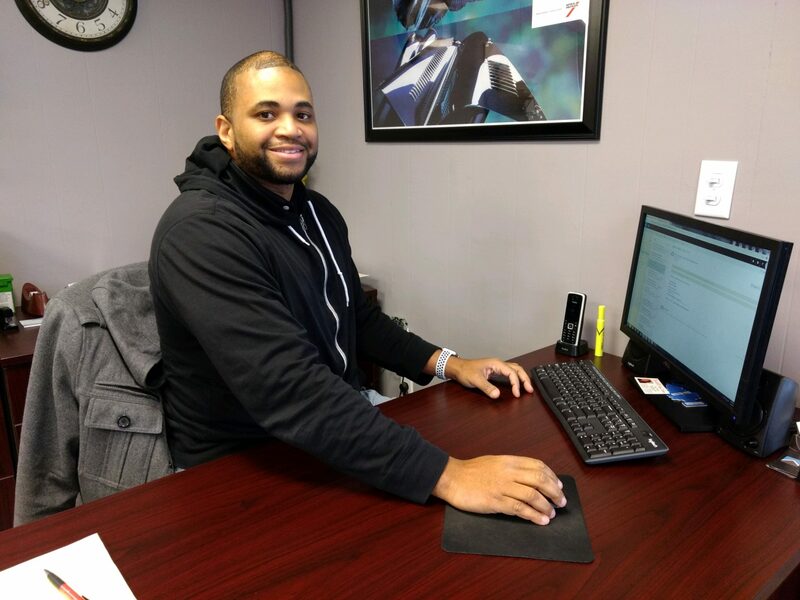 His favorite thing about working in auto body repair is helping people get back into their vehicle after an accident so they can get back to normal. During his free time, Todd plays in his 80’s band called AMFM. Aside from his band, Todd also likes to take care of his pet chickens and do home improvement projects. The one place Todd would like to travel to in his lifetime is Hawaii. He loves tropical places and snorkeling. His hobbies include music and cars. Todd has 3 dogs, 2 cats, 4 chickens, & a Tarantula. One thing that most people don’t know about Todd is that he is actually a very shy person. Treat everyone fairly and how you would want to be treated – Key to success. 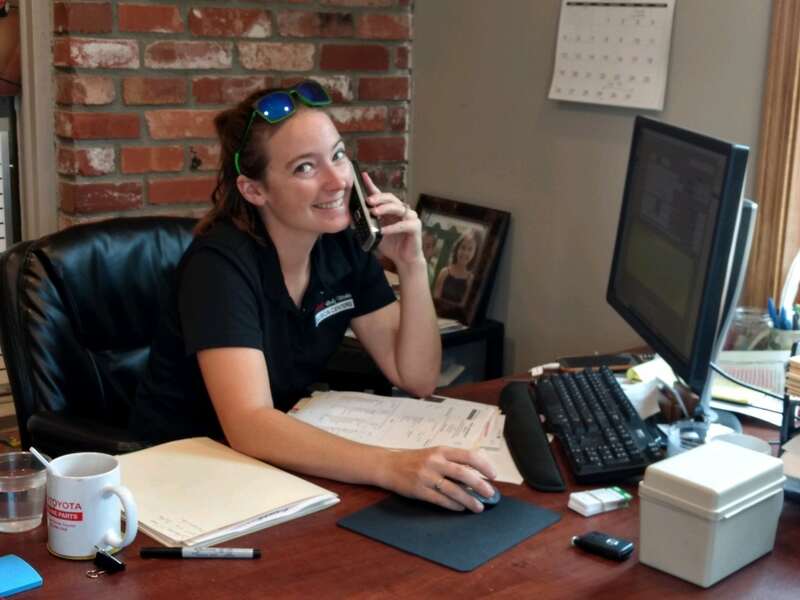 Amanda has worked at Speidell Body Works since 2015 as the office manager. Her favorite part about working in the body repair industry is getting to take a damaged or wrecked car back to pre-accident condition and make it shine. Amanda has 2 kids and rarely has free time, but when she does, she likes to take the kids camping and fishing. Although there is no specific place that Amanda would like to travel to she would love to visit abandoned cities. Amanda has one dog named Xena and 2 cats named Dumbo & Squirrel. Her hobby is cross stitching. One thing people do not know about Amanda is that she doesn’t like sweets and in fact, prefers salty treats. Amanda believes that the key to success is a dedicated work ethic. If you try your absolute best every day, that day can be counted as a success whether it feels like one or not. Nicole has been working at Speidell North since December of 2017. As operations manager she enjoys the daily variety and being up and about and not at a desk. She loves to read, watch movies, cook, swim, work out and spend time with her family. She would love some day to visit Australia and Ireland. Nicole is a perfectionist and enjoys paying attention to details. Her key to success is continuously educating herself and her team to improve accuracy and speed to carry us into the future. 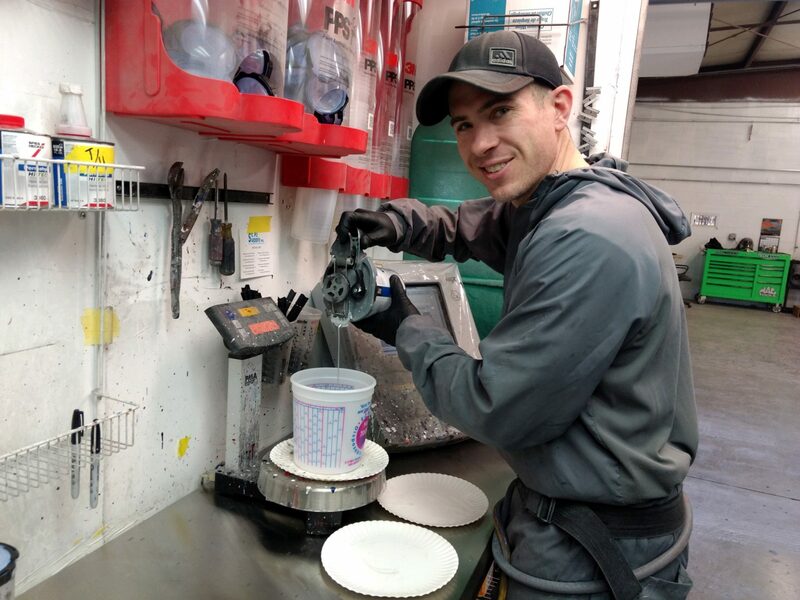 In Summer of 2015 Matt came on board as Parts/Production Manager at Speidell South. Matt enjoys being able to help people through a bad situation and get them back on the road quickly. Matt has one dog named Daisy and enjoys travel, live music and hanging out in his pool. He has never been to the East coast and would like to see it one day. Always treat people the way you would want to be treated. Cole has worked for Speidell’s since 2003 and is currently the lead painter at the South shop. He enjoys helping people in their time of need by getting them back into their cars as quickly as possible. In his free time he likes playing guitar in his band, camping, and following his kids sports. One day he would like to vacation in Hawaii! Something few people know about Cole is that he was a water purification specialist in the Marine Corps. 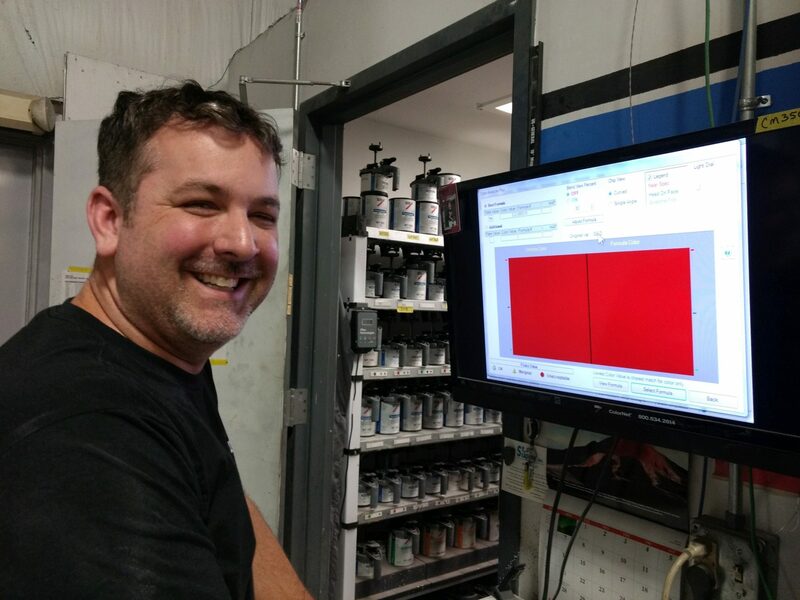 Cole loves the daily challenges that go with painting and color matching and strives to do his best on every job. Steve started working at Speidell Body Works in 2007. Steve specializes in detail and polishing but also does many odd jobs around the shop to keep things moving smoothly. He enjoys the unique challenges that come with every vehicle. Some of Steve’s favorite pass times are hunting with his dog Myron, roller skating and playing video games. Steve would love to go hunting in Alaska or Canada some day. Some of his other hobbies are drawing, fishing and photography. Steve believes that success comes from being committed to every task. Brent started at Speidell’s in 2005 in the body shop before moving to the head painter position. 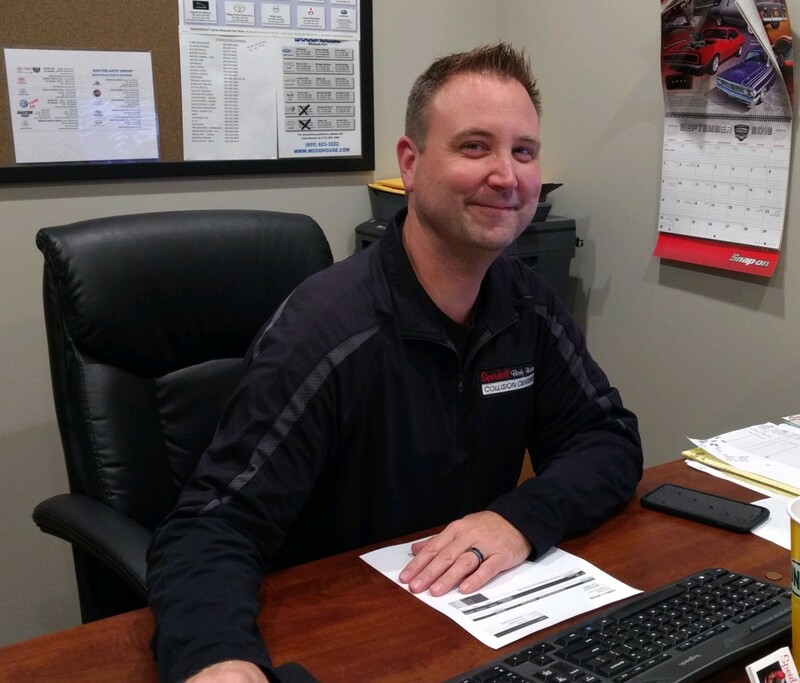 Brent enjoys being around and working on cars and his key to success is his attention to detail and continuous learning. In his free time he enjoys time with family, playing with their Dachsunds and traveling. Canada is a place he would like to visit some time. Brent stays active by working out, cycling, Snowboarding and driving his Camaro on nice days. 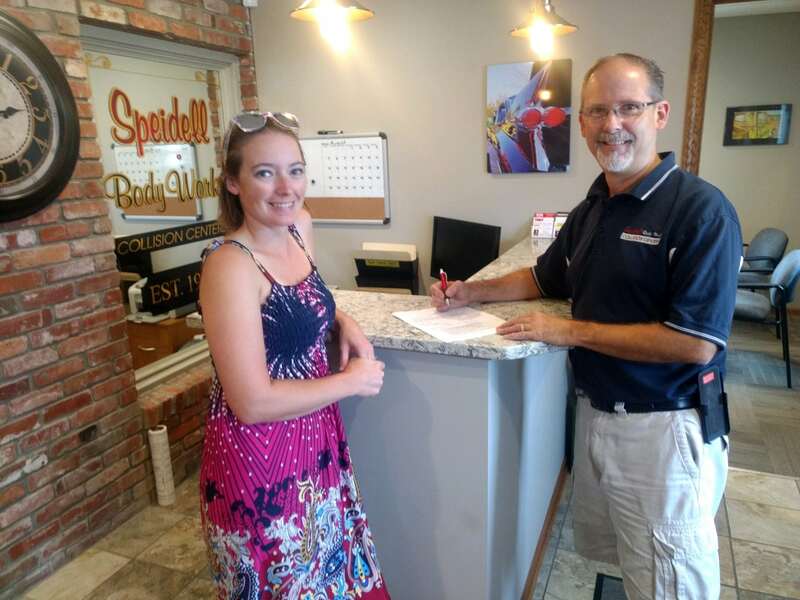 Cory has been the General Manager at Speidell North since 2010. 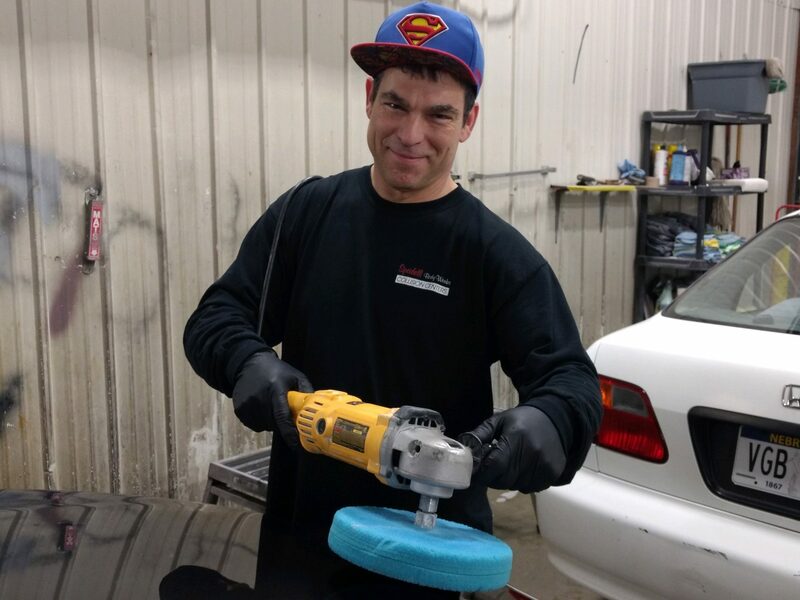 He enjoys working with people and the variety that comes with working in the collision repair industry. Being a sports fan, Cory loves coaching his boys sports teams and spending time with his family. Along with sports, travel and shopping most people don’t know that Cory enjoys reading and would someday like to travel to Dubai. Cory says his key to success is always laugh. GOT AN AUTO BODY QUESTION?